The start of school is an exciting time for both teachers and students. It’s also a week full of anxiety and anticipation. While summer memories (and nice weather) still linger, it’s important to hit the ground running to build momentum for a solid school year. This year, why not reduce stress and set high expectations with these five ways to welcome students back to school. Welcome your students to school by establishing a well-managed classroom. Encourage your students to help create the rules they will live by in your classroom. Getting students involved in brainstorming classroom rules not only helps break the ice at the beginning of the year, but it also encourages students to abide by the rules they’ve created. R – Respect: yourself and others. A – Attitude: always have a positive one. C – Cooperate: and always do your best. E – Excellence: it’s the key to success! Since everyone’s brain is likely still on summer vacation, why not use that to your advantage? Encourage your students to write a story about what they did over the summer. You can start with a group brainstorm to come up with topics like family trips, books you read, movies you saw, camps you attended, states you visited, or just something new you learned over the summer. Then students can choose two or three topics to write about. It’s a great way to remember a fun summer while getting the creative juices flowing for the school year. Create a webpage to communicate helpful information about your classroom to students and parents. NYLearns offers all users the opportunity to create custom classroom websites so teachers and administrators can display homework assignments, project due dates, classroom guidelines, class schedules, pictures, videos, and more! It is imperative to establish a clear channel of communication with your students’ parents for different situations. While important information about your classes can be displayed on your teacher website, everyone communicates differently. Consider offering text messages, emails, phone calls or even a newsletter to help parents stay up to date on their children’s work at school. Build good rapport and establish trust by communicating with parents. The NYLearns’ Curriculum tool allows districts to design, develop, and maintain customized curriculum maps that are aligned to NY State standards. You can customize student experiences that best serve your district, school, or classroom goals. Plus, if you need some inspiration, explore NYLearns’ nearly 100 model social studies, math, and ELA curriculum maps based on the NYS P-12 Common Core Standards. Remember, with the NYLearns Curriculum tool, you can access all of your maps to reference any “Notes for Teaching” that were made throughout the previous school year, so you can also quickly copy curriculum maps and then modify them for this school year. Do you have an idea about starting the school year on a high note? Let us know! You can follow us on Twitter, Google+, and Facebook. As always, our award-winning help desk will be here all summer to help whenever you need it. Welcome back! Let’s make it a great year with NYLearns! The end of every school year is a time of reflection for both teachers and students as they prepare for final exams. It’s also the time when students start to get squirrely and keeping their attention can be a challenge. Here are five creative ways to engage students at the end of the school year while preparing for summer vacation. Maximize student engagement at the end of the school year by incorporating Jeopardy rounds into your daily teaching. Determine which topics you’ll cover based on the material you taught throughout the school year. Group students together into teams and play rounds of Jeopardy with your classes. Keep track of group points in an Excel spreadsheet and crown a winning team on the last day of school. NYLearns offers an easy-to-implement Jeopardy Development Team Project as well as a Jeopardy Midterm Review Game for U.S. History. In need of questions that align to specific NY State standards? Use the NYLearns Assessment Builder to search a database of thousands of actual past NY State Regents exams. You can even filter your search for questions by Standard, making it easy to build custom assessments that meet the needs of your students. As you look back on your school year, use group time with your class to reflect on the material you covered throughout the school year. It’s the perfect time to poll your classroom to ask students what they learned and to determine which approaches led to higher student engagement. Have your students create a Top 10 list of their favorite things they learned. Discuss topics that your students hope to learn next year. Talk about transitioning to the next school year to help students alleviate their fears. Use the NYLearns Vertical Viewer to assess the standards that you covered during this school year or to look ahead to what will be covered in subsequent grades. Motivate your students to read this summer with a summer reading challenge. Create your own list of books that students can choose from, or check out the Scholastic Summer Reading Challenge as a guide. Looking for content ideas to align to reading assignments? Find hundreds of standard-aligned resources in NYLearns Featured Content Archive. While students are expected to devote some of their summer vacations to reading, why not spend part of your summer building your professional skills? Online professional development courses from PLS 3rd Learning can help you earn professional development credit in your school in as little as 4 weeks. Find online classes that fit your professional development needs with PLS Classes. Teacher-planned activities like completing final assessments, finalizing report cards, and collecting all textbooks. Enlisting student help for cleaning off desks and lockers, removing decorations from the classroom walls, and inventory remaining classroom supplies. Take-home items for the summer like plants, books to read, and curriculum to review. It’s also a good idea to organize your educational resources for next year. NYLearns’ ePortfolio makes cleaning up for summer a breeze. End of the Year Tip: Create a folder in your ePortfolio called “2015-16 School Year” and move all of your folders you created throughout the year to that new folder. That way when you start building resources for next school year, you can easily find your favorite resources in one folder and create new folders for the upcoming school year. Finally, remember that the NYLearns Curriculum tool allows you to access all of your maps to reference Notes for Teaching that were made throughout the previous school year. You can also quickly copy curriculum maps and then modify them for the upcoming school year. Do you have an idea about ending the school year on a high note that we missed? Let us know! You can follow us on Twitter, Google+, and Facebook. As always, our award-winning help desk will be here all summer to help whenever you need it. NYLearns hopes you have a GREAT summer! Take a trip through the major world biomes to explore climate change and discover unique plants and animals with these FREE Educational Resources — all aligned to NY State Academic Standards. Learn about the major world biomes. 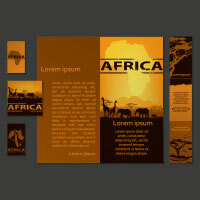 Develop travel brochures to countries within the biomes. Gain an awareness of careers associated with travel. Related NY State Academic Standards: W.3.11, W.4.11, W.5.11, and more! Understand that Earth’s surface is divided into a number of biomes characterized by unique plants and animals and a distinctive climate. Identify adaptations of plants in specific biomes. Explain how certain adaptations help plants survive in the specific biomes. Related NY State Academic Standards: MST4.E.LE.6, MST4.I.LE.1.1f, MST4.I.LE.4.3, and more! 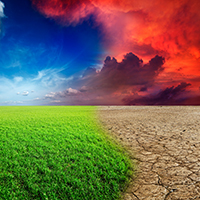 In this web-based practice, students will explore climate change, learn about its effects on the world, and discover what is being done to prevent it. Related NY State Academic Standards: MST4.C.LE.LE.6.3, MST4.C.LE.LE.7.1, MST4.C.LE.LE.7.2, and more! Also, be sure to check out our Featured Content Archive, featuring thousands of activities, lesson plans, constructed-response questions, rubrics, teacher resources, multimedia, and more! 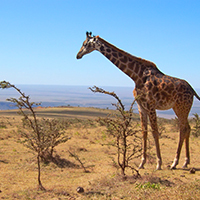 Explore these Earth Day resources to examine the living Earth, understand volcanoes, and determine the age of Earth. 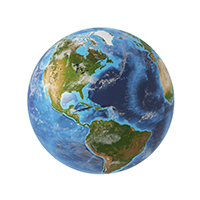 All of our FREE Earth Day Educational Resources are all aligned to NY State Academic Standards. make a class list of what causes changes to our planet’s structure. Related NY State Academic Standards: MST4.E.PS2, MST4.E.PS2.1, MST4.E.PS2.1d, and more! 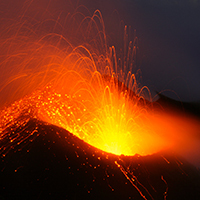 In this lesson plan, students will understand that a volcano can act as a giant cooling vent for Earth’s inner core. 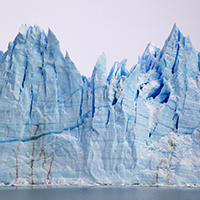 This video will focus on scientist’s efforts to determine the age of Earth. We can all feel stuck sometimes. It’s as if we can see the path we’re supposed to take, but we’re just spinning your wheels trying to get there… especially now that Spring Break is over! Luckily, we know exactly how you feel, because, well, we’ve been there too. Our team of educators has over 300 years of collective classroom experience, and we’ve leveraged that expertise to build support resources to help you get what you need, fast. For the last few years, NYLearns has been building its video library, along with its other support resources, to save you time by helping you build curriculum, create assessments, plan your lessons, and stay organized. In addition to our teacher tool overviews, we also created theAsk NYLearns series, which offers tips on using our teacher tools as well as how to find the latest and greatest FREE educational resources on NYLearns. If you’re feeling stuck or just need to recharge your batteries with a short–and funny, if I do say so myself–highlight of our latest features, we invite you to revisit these videos to help inspire you as this school year makes its final march toward graduation.